Courtney Kirk, Streetscape and Public Space Planner for the City of Somerville’s OSPCD-Parks and Open Space division, will talk about the evolution from well-kept lawns to high performing landscapes, provoking discussion on maintenance and public green space. Cortney brings more than twelve years of experience to to the City of Somerville where she is their Streetscape and Public Space Planner. In her professional career she has designed and managed projects as small as a seasonal planter, to large hundred acre college campuses. She takes joy in working within the urban public realm where landscape architecture enhances the day-to-day experience. 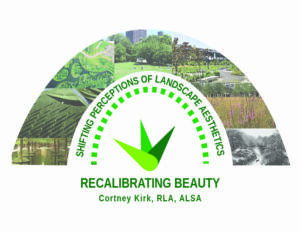 Cortney is a licensed Landscape Architect in Massachusetts and remains active with the Boston Society of Landscape Architects, and the Boston Society of Architects. All Somerville Garden Club meetings are free and open to the public. 7-9pm. Meetings are held the at the Tufts Administration Building, (TAB), 167 Holland Street, second floor, wheelchair accessible. Parking is available, and the building is a ten-minute walk from the Davis Square MBTA stop.